Today Samsung has officially announced it Galaxy S8 and Galaxy S8 Plus smartphones. 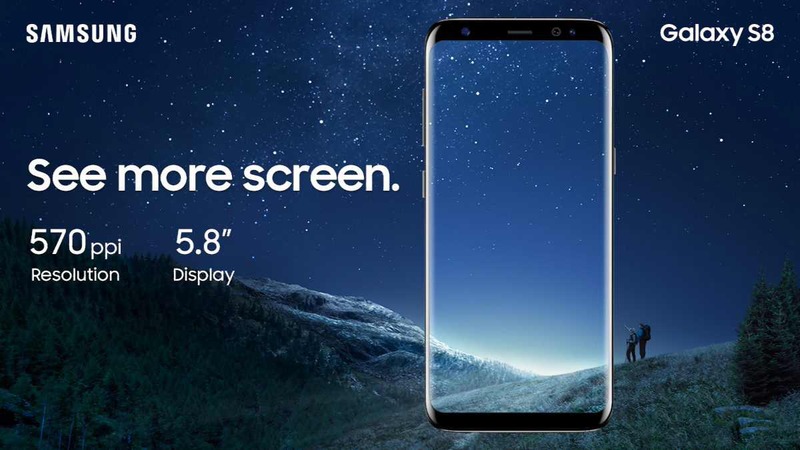 The Galaxy S8 has a 5.8-inch screen and the S8 Plus is 6.2-inches. Both phones have the curved AMOLED design with rounded corners. The display features 2960×1440 resolution. There is also a new on-screen button. Interestingly, the home button region of the display is pressure-sensitive. You can press hard there to trigger the home button. 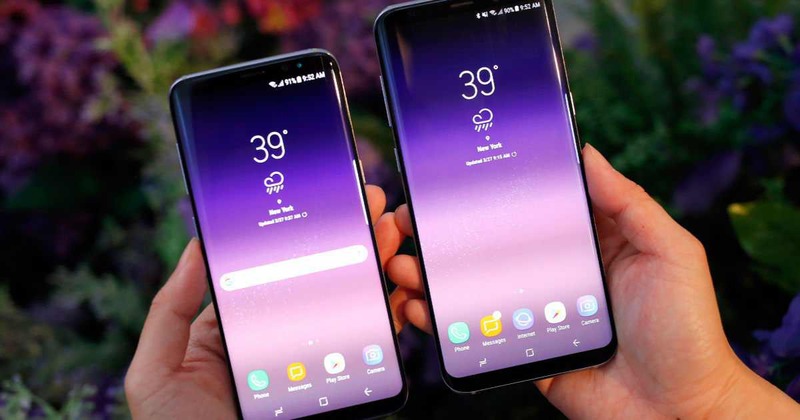 The new Samsung Galaxy S8 and Galaxy S8 Plus phones have an 83% screen to body ratio. The fingerprint sensor now moved to the back of the phone. 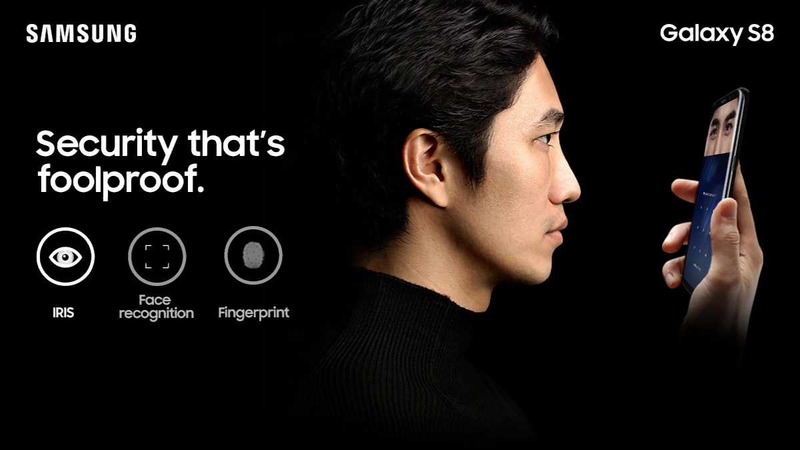 On the front, you get an iris scanner. The new Galaxy S8 will be powered by Snapdragon 835 and Exynos chip for International versions. 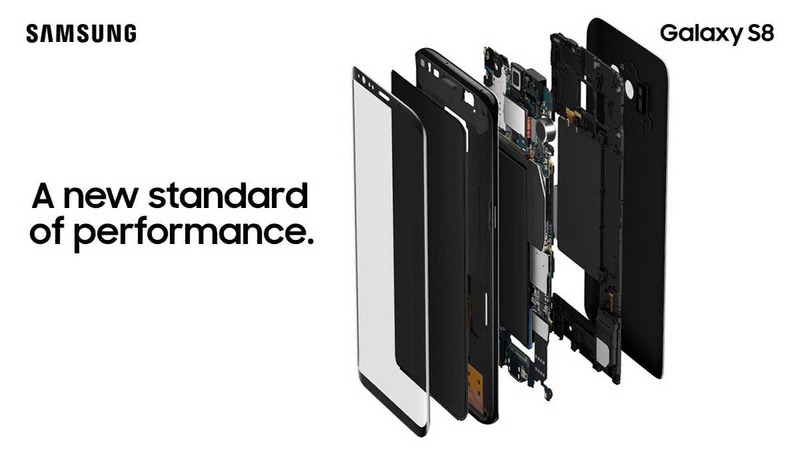 You will get 4GB of RAM and 64GB storage with microSD card slot. The battery capacity remains the same at 3,000mAh like the GS7. Samsung’s new AI assistant Bixby also launched with the phone. You can launch it at any time by pressing the dedicated Bixby button on the left of the phone. It lets you control apps by voice to do things like translate text, read QR codes, and set reminders. The Galaxy S8 will run Android 7.0 at launch. The phone also includes 12MP rear-facing camera, but the front-facing cam has increased from 5MP last year to 8MP with software-based autofocus. The Galaxy S8 and S8 Plus will come in Midnight Black, Orchid Grey, Artic Silver, Maple Gold, Coral Blue. However, only the first three shades will be available in the US. Pre-orders are live tomorrow (March 30th) and will include a free Gear VR with the controller.